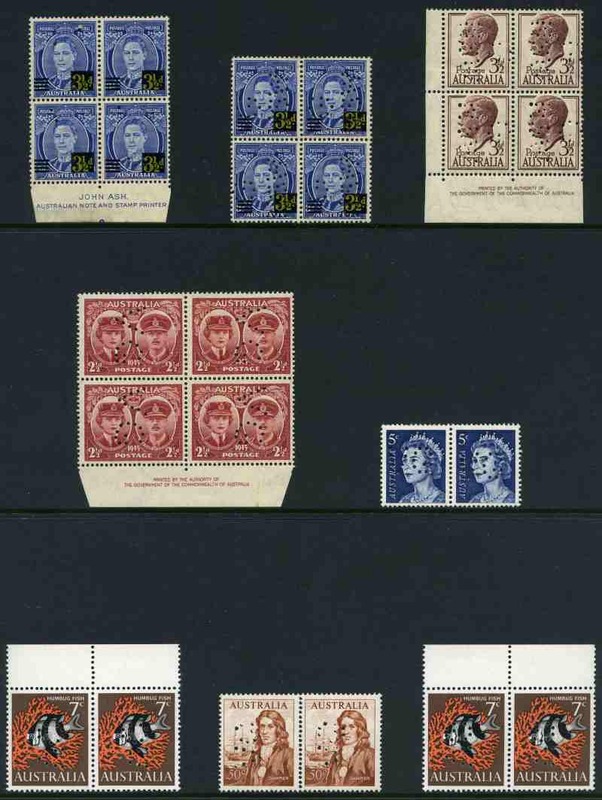 1978 10¢ Vermillion Duty Stamps with silk threads, marginal horizontal 2 x 10 block of 20, with double perforations MUH. Walker 227pd. 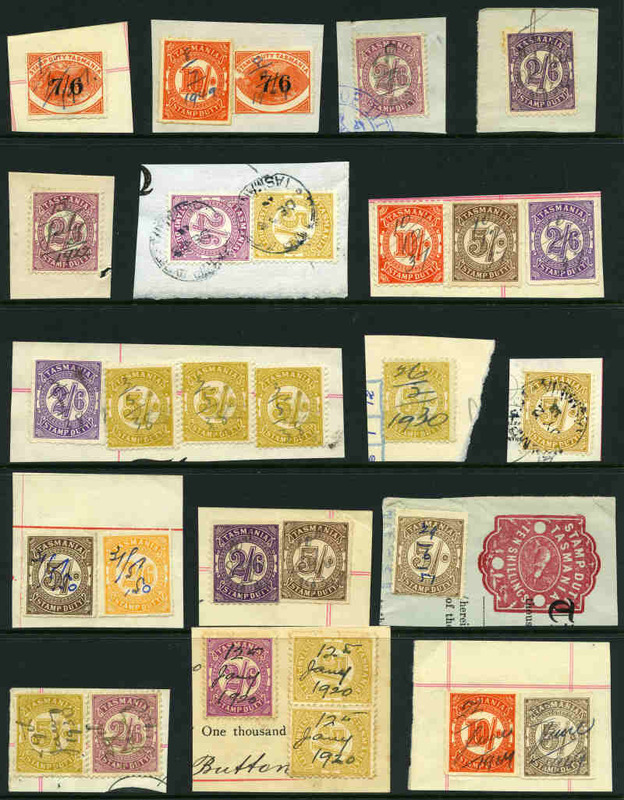 Selection of 40 Stamp Duty issues to £1 value on piece including perf and shade variations, better items and some duplication. 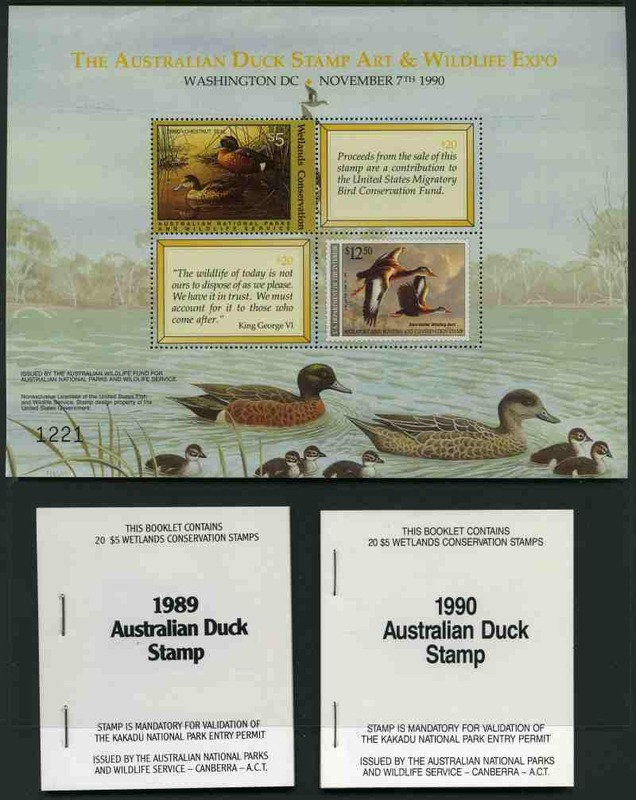 Noted 1929 7/6 Surcharge Platypus (2) and 1900 £1 Green and Yellow Queen Vic O/P Revenue (2). 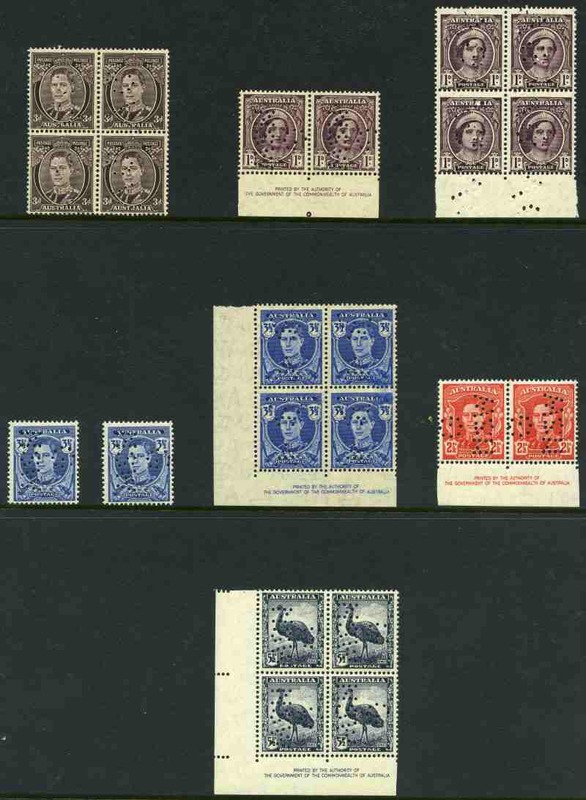 Selection of 65 State Government perfins perf GNSW, T, WA and VG on MUH Pre-Decimal and Decimal issues from 1932 to 1966 including 1932 1/- Lyrebird perf GNSW, 1932 6d Brown Kooka perf VG (faint toning) and 1941-42 4d Koala, 6d Kookaburra and 1/- Lyrebird perf 14¾ perf GNSW imprint blocks of 4. Odd item lightly hinged. 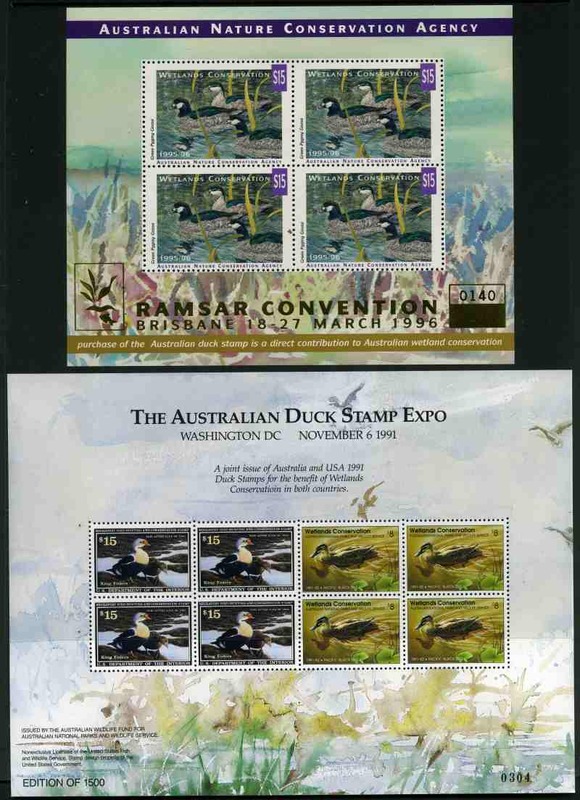 Collection of Australian National Parks and Wildlife Service Wetlands Conservation Duck stamps from 1989 to 1995/96 in blocks of 4, sheets of 16 or 20, miniature sheets and 2 booklets MUH including special overprints and O/P Specimen, plus several entry Park Tickets and covers. 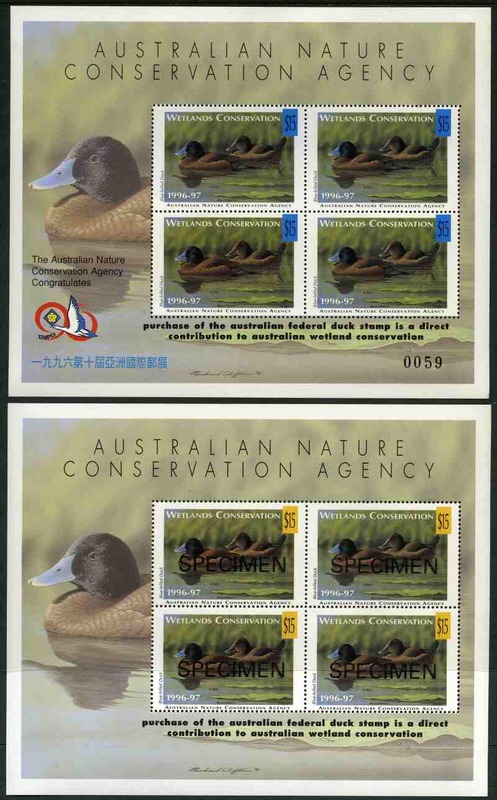 Also 1997 Royal Flying Doctor Service of Australia sheetlet MUH (3, one O/P Specimen) and another with Red Cross surcharge. 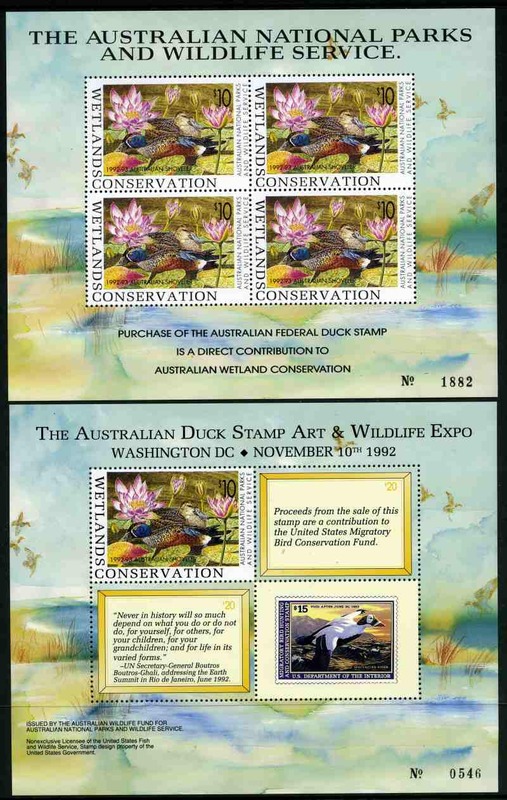 Face Value over $5,000.00. 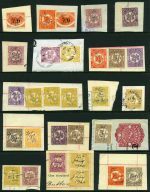 Accumulation of many thousands of Cinderella and Revenue Stamps from a wide range of countries and periods in 8 loose leaf albums and mixture in packets. 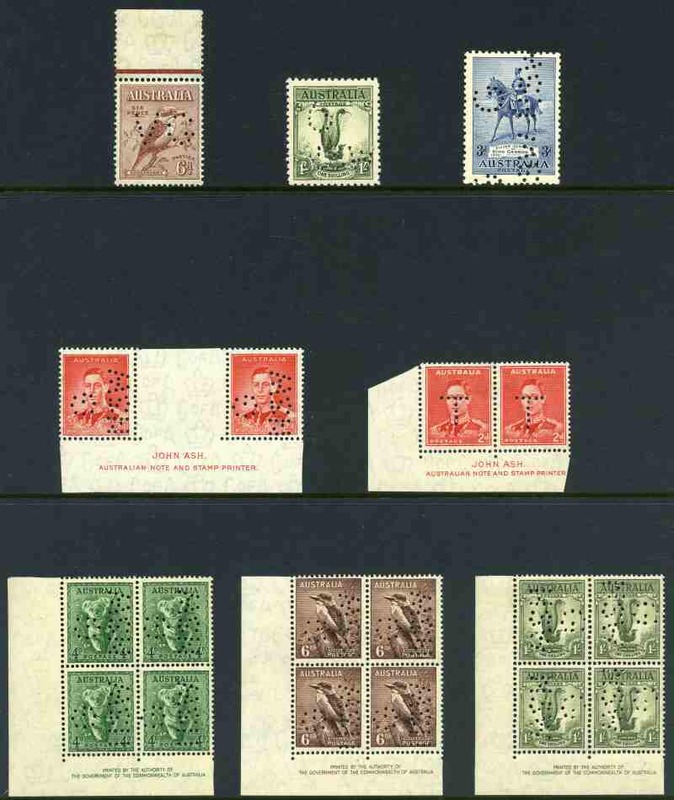 Includes Charity, War Propaganda, Tourism, Exhibition, Local Post, Telegraph, Advertising, Centenary, Red Cross, Christmas seals, Registration labels and a wide range of Revenues represented. 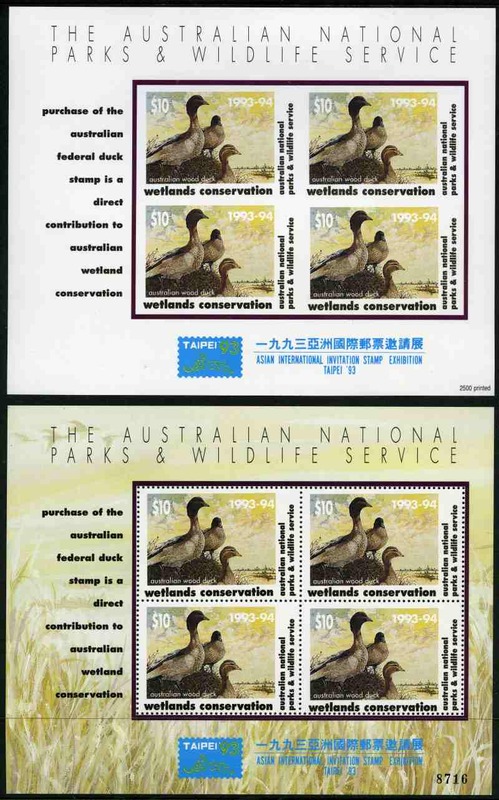 Some duplication and usual variable condition. 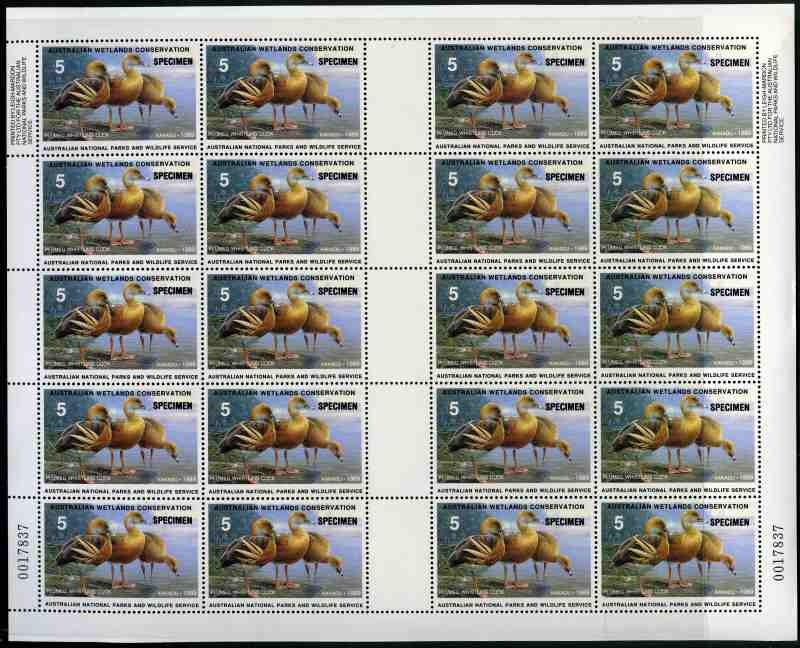 Interesting lot.